Bank at the ball park, while shopping, out for a run, it's up to you! 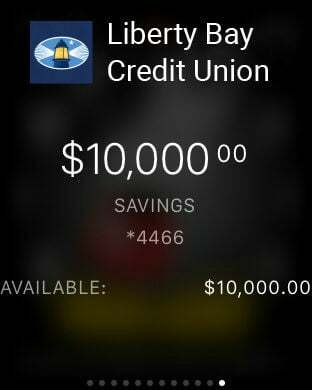 WIth Liberty Bay Credit Union's FREE Mobile Banking app for iPhone and iPad, you can access your accounts whenever-and wherever-it works for you. Safely and securely deposit checks, make loan payments, check balances, transfer funds, pay bills, view and activate your cash back offers, find the nearest ATM while you're on the go, and more!